Latest line: North Carolina by 11.5 points. 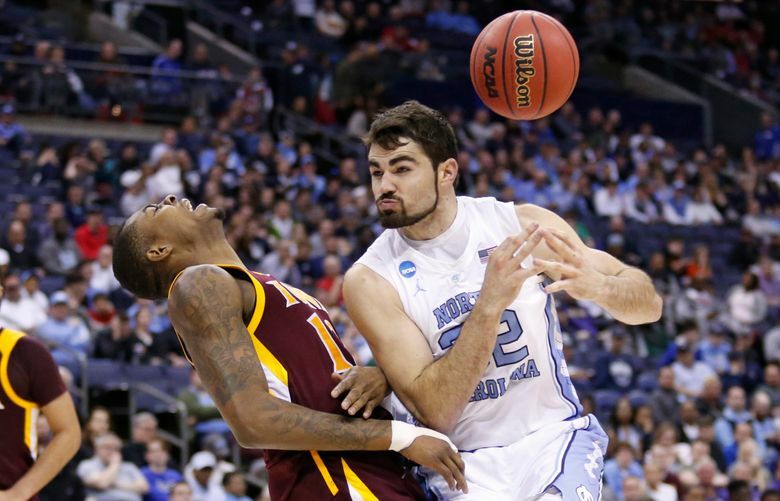 About North Carolina: The Tar Heels opened the NCAA tourney with an 88-73 victory over No. 16 Iona on Friday night. Cameron Johnson scored 21 points to lead five UNC players in double figures. Last meeting: In their last NCAA tournament appearance, the Huskies were knocked out in the second round by North Carolina, 86-83, in Charlotte. It would end up being Isaiah Thomas’ final game in a Husky uniform. 6 — North Carolina has won six national championships, including a victory over Gonzaga in the 2017 title game. Only UCLA, with 11, and Kentucky, with 8, have won more national titles. 17 — North Carolina has been a No. 1 seed 17 times, more than any other program in NCAA tournament history. 86.1 — North Carolina entered the tournament scoring 86.1 points per game, third most in the nation behind Gonzaga (88.8) and Belmont (86.9). Coby White — The 6-foot-5 freshman guard is one of four finalists for the USBWA’s Wayman Tisdale National Freshman of the Year award. He averages 16.2 points and 4.2 assists and is shooting 36 percent (76 of 210) on three-point attempts. Luke Maye — It was Maye’s basket with 0.3 seconds left that lifted the Tar Heels to a 75-73 victory over Kentucky in the 2017 South Region final. The 6-8 senior forward is averaging 14.9 points and a team-best 10.9 rebounds. Cameron Johnson — A 6-9 senior transfer from Pitt, Johnson is averaging 16.9 points and 5.8 rebounds and shooting 51 percent from the field. He shot an ACC-best 46.5 percent on three-point attempts (87 of 187) during the regular season. “It was a total breakdown on the defensive end and then they’re making the threes, and we started looking at the score and I think perhaps got a little tight. “But no, I told them in the locker room, every tournament’s different. You build your momentum once you get in the tournament. And some of you guys have heard this before, but I was on the staff of a pretty good team — 1982. And the first game we played James Madison in Charlotte. And we blew them out (tongue in cheek), 52 to 50. On whether being a No. 1 seed added pressure against a No. 16 seed: “I think so. And I think UMBC last year made it a little more pressure. And it’s part of the game. And I understand that and told them that. But if you’re a tough competitor and you invest yourself into the game, you’re not just worried about the score; you want to be concerned about how you’re playing.